In this great dystopian novel, Alex London provides a fantastic read for anyone of any age. With characters that are dynamic and a story that is enthralling, Proxy is one you do NOT want to miss! Weirdly enough, this book is like The Bachelor but instead of some random guy reject from The Bachelorette (bear with me, I don’t actually watch either of these shows, so I don’t exactly know how this works), the guy in question is a Prince. 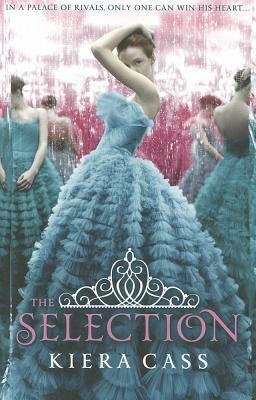 35 girls are selected to compete for his hand–and the main character, America, is not doing it for the money, fame, or the prince. She is doing it to help her family. This book was one of those concepts that could have fallen apart completely, but Cass lures you in and keeps you wanting more–and wanting America to succeed, even if she isn’t sure she wants to. In a post-apocalyptic world Evie has visions – and not the good kind. This book is a thrilling combo of romance and adventure in a dystopian setting. A multi-genre book that combines paranormal, romance and dystopian. Black City is a book filled with the choice between family and love and the consequences of breaking political ties. Ash and Natalie are a pair to root for.